Life insurance is all about helping those you leave behind. Like other insurance, life insurance doesn’t protect you from risk. We all die sometime, and no matter the circumstances, grief follows. Don’t compound grief by saddling your family with financial worries. Get a free life insurance quote today and find out how much it will cost to leave your family a financial legacy. According to the National Funeral Directors Association, the cost of a funeral is rising each year and now exceeds $8,000. The last thing your family needs is to be burdened with a huge expense along with all the other financial and emotional impacts of your death. A life insurance payout will greatly ease the financial strain. According to the United States Census, the Verona home ownership rate hovers around 69%. You, like many in Verona, may make monthly mortgage payments. What happens when you die? If your survivors cannot continue payments, they will need to sell the home to pay off the mortgage. Moving will significantly burden them at one of the worst times of their lives. But it doesn’t need to be this way. You can buy life insurance. When you die, the payout can be used to cover the mortgage debt. There are different kinds of life insurance. Although an overview follows, you should connect with us. We can provide you with a term life insurance quote or a whole life insurance quote. We will thoroughly explain the different kinds of policies and guide you to the best option given your particular needs. Term life insurance covers you for a certain term, anywhere from 1-30 years. You pay a set premium for a set number of years. If you die within that period, the insurance company pays the set amount to your beneficiary. If you are alive at the end of the term, the insurance expires (no payout), although some policies may give you the option of extending the term or converting to a permanent policy. Permanent insurance comes in different forms, but all are designed to be with you for your whole life. Part of your premium is set aside and invested. The investment is known as “cash value.” The kind of investment and the expected growth of the cash value portion depends on the kind of permanent insurance policy you purchase. With a whole life policy, the cash value grows at a fixed rate. With a universal life policy, the growth of the cash value fluctuates with the market. If so, what type of policy? How does your age and health impact the choices? If you already have life insurance coverage through your employer, do you need more? We can answer these questions and more. The best time to start the discussion is now, and the best way to start is to get a life insurance quote. As you get older, life insurance becomes more expensive. 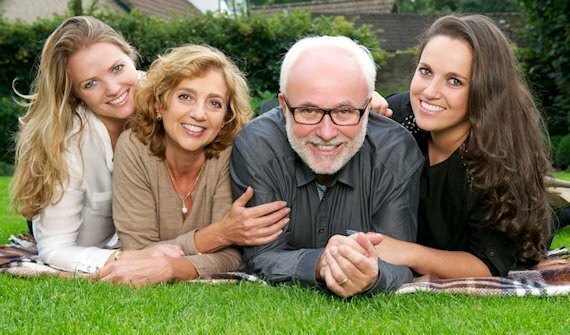 Many in the community have turned to the staff at Krell Insurance for advice on a life insurance policy that makes the most sense for them. To learn more about life insurance, visit www.lifehappens.org. Krell Insurance is an independent insurance agency, which means we work with many different insurance companies. We will make sure you get insurance from a reputable, established, highly-rated company at an affordable price. Stop by and see us at 209 S. Main Street in downtown Verona, Wisconsin, or call us at 608-845-2666.